Chickpeas, lentils, and plenty of aromatics join forces in a comforting soup with rich depth of flavor. This hearty vegetarian main is brimming with plant-powered protein, fiber, and good-for-you nutrients. Heat oil in a Dutch oven or large stock pot over medium heat. Add onion and carrot; cook 3 minutes, until softened. Add garlic; cook 1 minute. Add tomato paste, smoked paprika, cumin, oregano, salt, and pepper; cook 1 to 2 minutes. 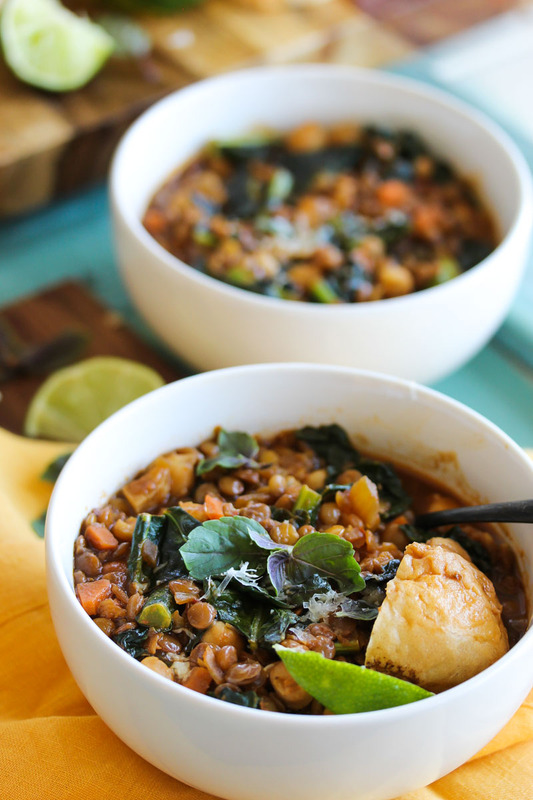 Visit Smoky Chickpea Lentil Soup @ dishingouthealth.com for full instructions.